April 17, 2017 By Chelsea T.
Lots of people call New Jersey home, whether they still reside there or not. But did you know there were some ghostly spirits that also call the state home? From asylums and hospitals, to roads, cemeteries, theaters, restaurants and homes, there are a number of places throughout the state that are believed to be haunted. Whether you're looking for some paranormal fun in Southern Jersey down by Cape May (a believed-to-be haunted town! ), more North towards Middlesex, or up in the Skyland Region of the state, there are an endless amount of spots that have some seriously spooky stories attached to them. 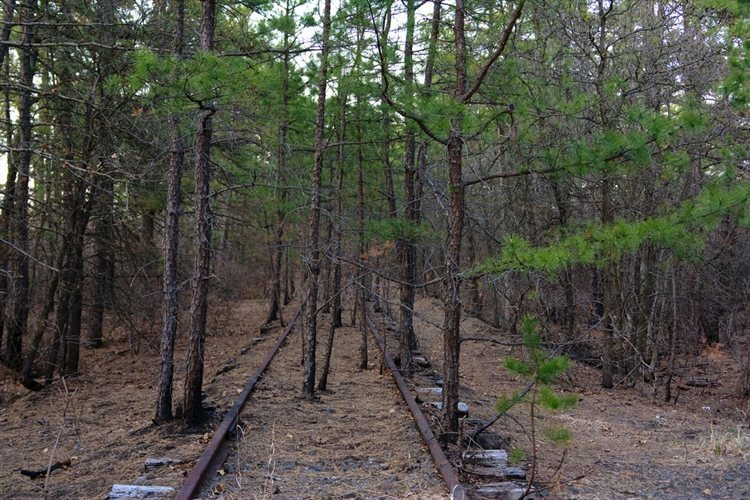 Check out our Top Ten list of New Jersey's Haunted Places below! 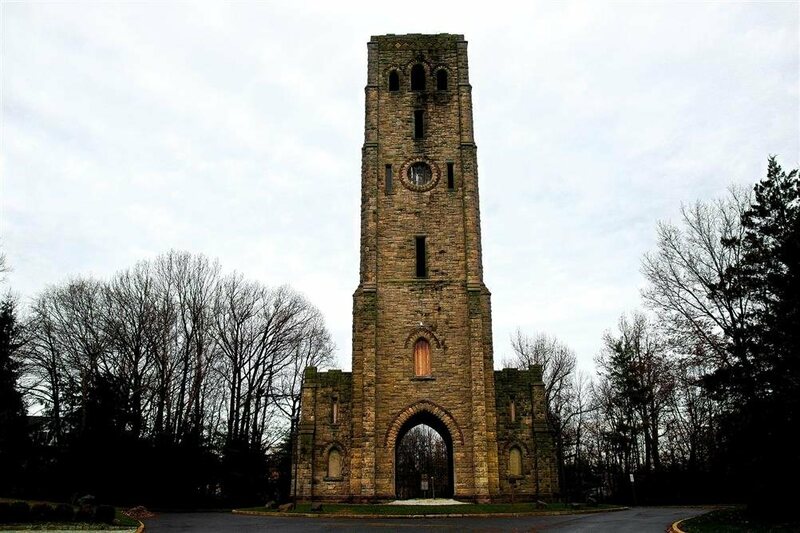 Dating back to 1910, the Devil's Tower stands high in Alpine and was originally known as Rio Vista. The tower had been built by Manuel Rionda, a millionaire sugar importer and according to Forbes, the tower was dedicated to Rionda's wife, Harriet. Stories say he built the tower so his wife could look out at the New York City Skyline, while others believe it was built as a mausoleum or for religious purposes. An underground tunnel was said to connect Rionda's home with the tower, and legend says Harriet was looking out from the tower one day when she saw Manuel with another woman. Distraught from the sight, Harriet jumped from the tower to her death. Since her suicide, the area has had some eerie occurrences, including strange noises and the feeling of being by pushed by something unseen. Other stories say Harriet died of natural causes, but one thing is for sure, no matter how she passed away, her spirit is said to linger here. After the Marlboro Psychiatric Hospital opened its doors in 1931, it operated for nearly 70 years, accommodating around 800 patients of all ages. By the late 1970s, the hospital only treated adults and adolescents, many of who died at the hospital. A cemetery was designated on the campus grounds for the patients who were left unclaimed by family, and there are over 900 marked graves to this day on the hospital grounds. 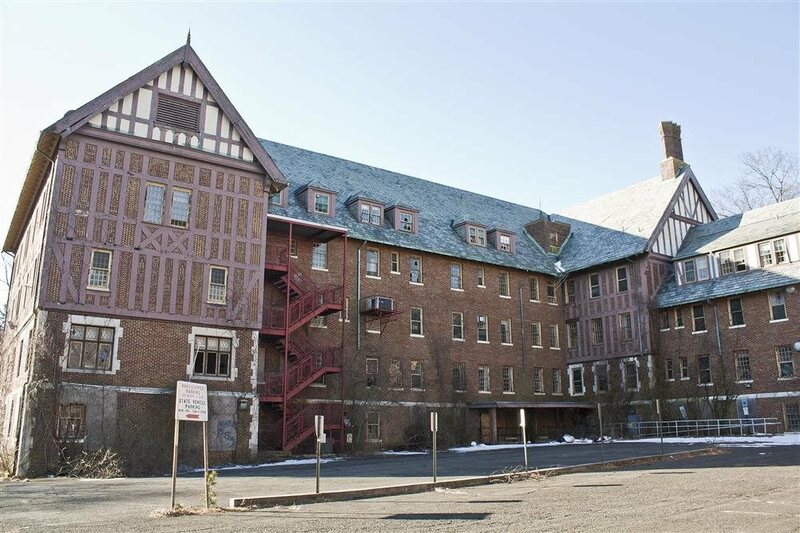 Due to the history of the hospital, and the deaths that took place there, it's no surprise that it's one of New Jersey's most well known spots for paranormal activity. The hospital was demolished in recent years, but the spirits that were once inside its walls are believed to still linger on the property. "Shadow people" are among the eerie happenings here, in which many believe to be old patients of the hospital lingering about. This ten mile stretch of road is located in West Milford and is a quite desolate area, mostly surrounded by woods. 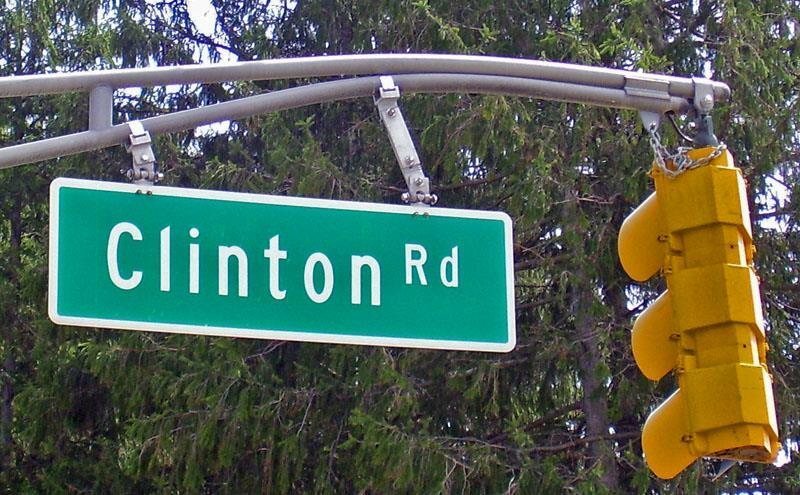 The street is a well known spot in New Jersey for ghost sightings, and is rumored to have a bunch of ghost stories attached to it. One of them involves "The Ghost Boy," who is said to hang from under the bridge at Dead Man's Curve. The young boy's ghost supposedly returns coins to people after they've thrown them in the water. Other stories surrounding this road involve an incident that took place in 1983 when a body was found off the side of the road, that of Daniel Deppener. Ice crystals had formed in blood vessels near his heart, and three years later investigators found the killer, Richard Kuklinkski, the contract killer who earned the nickname "The Iceman." A third story about Clinton Road involves another young boy who died after falling from a bridge near the reservoir. It is said that if you place a quarter on the yellow line in the middle of the road at midnight, the boy's spirit will return it. Along with these ghostly stories, Clinton Road features lots of wildlife, lakes and historic sites such as the ruins of Cross Castle and Clinton Furnace, for those brave enough to explore it! 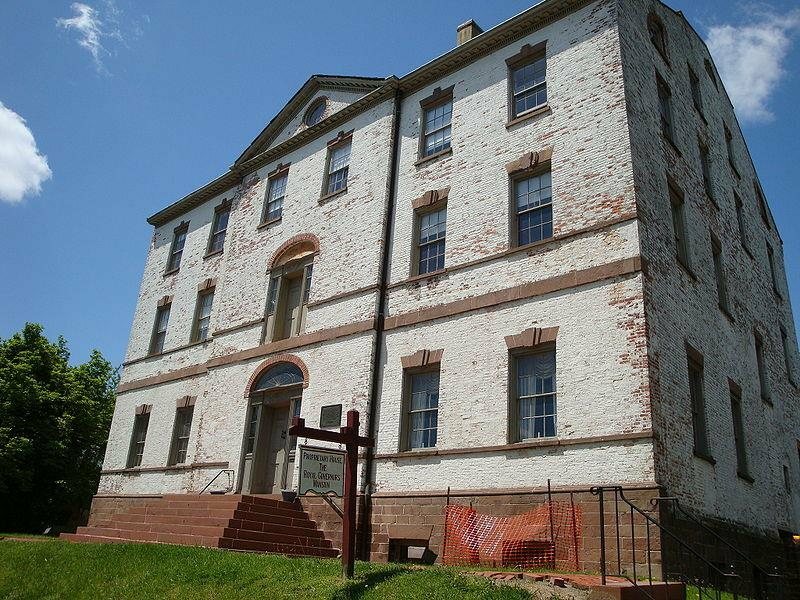 Once the home to William Franklin, the last Royal Governor of New Jersey and illegitimate son of Benjamin Franklin, the Proprietary House was built in the 1760s and is believed to be one of New Jersey's most haunted locations. After suffering a massive amount of damage in a mysterious fire around the time of the Revolutionary War, it had later been repaired and did quite well for a brief time as a hotel before the War of 1812 killed the local tourism. Now owned by the State of New Jersey, it had changed hands a number of times, and was restored over the years by its various owners. According to The Daily Record, the building is haunted by the ghost of a Revolutionary War soldier. Visitors have also reported spotting other apparitions, one of a woman who stands in the dining room window, and the other of a young boy wearing blue. 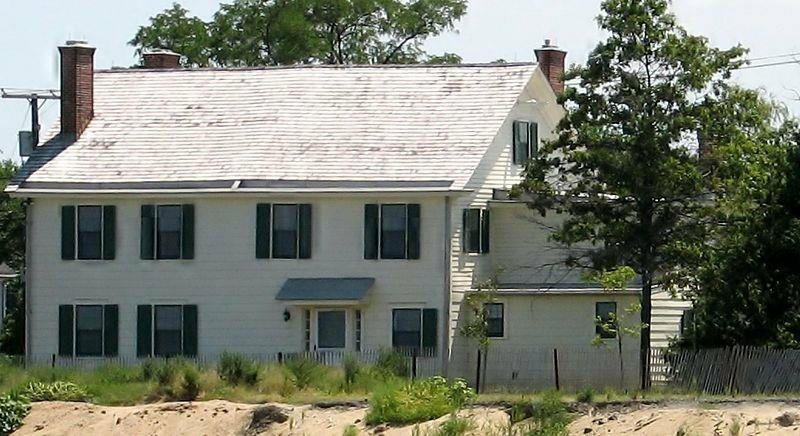 The site has been investigated by ghost hunters and paranormal teams, including The Atlantic Paranormal Society and Jersey Unique Minds Paranormal Society. 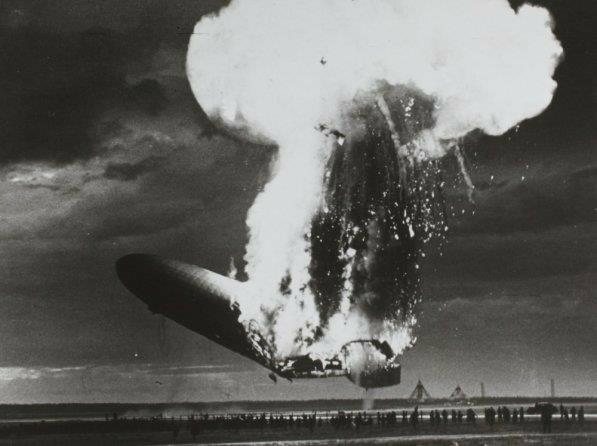 German airship LZ 129 Hindenburg caught fire on May 6th, 1937, crashing to the ground in an attempt to land at the Lakehurst Naval Air Station. Of the 96 people on board, the crash killed 35 of them, and has since been known as the Hindenburg Tragedy. The Lakehurst Hangar was temporarily re-purposed as a morgue after the incident took place, and according to The National Paranormal Association, if the airship had not burned, Hangar No. 1 would have housed the 804-foot-long Hindenburg airship. Many that have visited the site say the area is haunted by the spirits of those who died in the crash. Hangar No. 1 is the spot where people tend to feel the most eerie, saying that reverberations of the event can still be felt. Other occurrences here include the sounds of footsteps on the rafters and voices yelling. The hangar is now used as a training facility for flight deck personnel and has been explored by ghost hunting teams. Dating back to the mid-1600s, the Seabrook-Wilson House is one of the oldest surviving homes in the region. Originally built as a one-room cabin that housed Thomas Whitlock and his family, extensions had been added on and began operating as a tavern by the time the Revolution took place. British troops were known to enjoy the tavern, and according to the Middletown Patch, the owner would listen to their strategies, and then relayed the messages to colonial troops, thus giving the nickname, "Spy House." The home is believed to be haunted by at least 22 active ghosts, most likely due to the tavern's rich history and years upon years of it accumulating spirits. A woman dressed in white has been spotted a number of times wandering from room to room looking for her crying baby. A young boy has also been seen looking out the windows and an old sea captain with a beard has been seen wandering around. A pirate ghost, known as Captain Morgan, is also said to haunt the building, and is known to threaten child visitors. 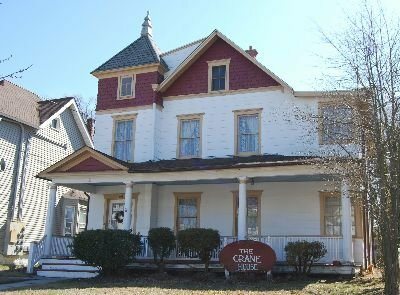 Located on Fourth Avenue in Asbury Park, this home dates back to the late 1800s and was once the residence of author Stephen Crane who wrote "The Red Badge of Courage." It is believed to be haunted by more than one spirit, some being ghostly children who have been heard playing or crying. Another ghost has been known to hit guests on the head with fireplace tools. SyFy's "Ghost Hunters" has explored the home and featured it on an episode of their show. 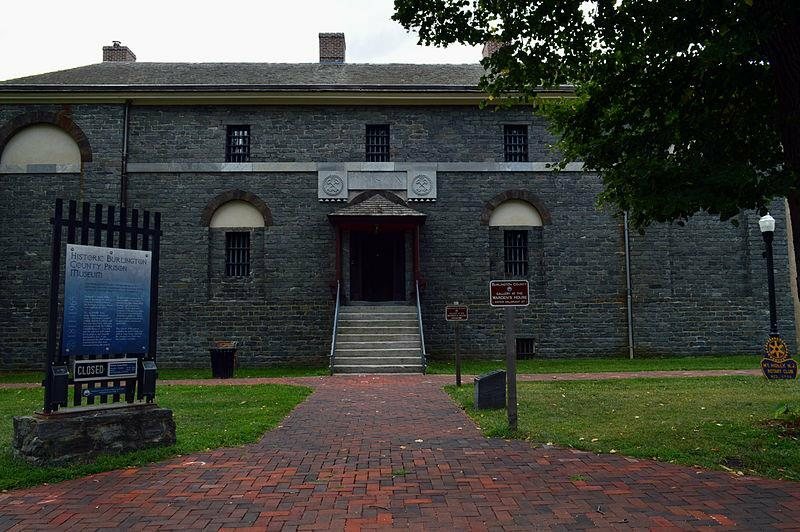 This haunted prison dates back to the early 1800s and now serves as a museum. In operation for over 150 years, the prison closed its doors in 1965 and is said to have quite a few spirits lingering inside its walls. Many prisoners were said to have hanged themselves inside the prison, along with prison guards who violently died during attempted prison escapes. Due to its history, it's no wonder the grounds are quite eerie. It's also the prison where Joel Clough served time and spent his final days. Clough resided in The Death Row Cell, also known as "The Dungeon" or the "Death Cell." He was placed here after he escaped and was recaptured. His hanging took place in 1833 and after, guards and inmates reported hearing chains rattling and moaning sounds coming from his cell. The third floor of the prison is said to be especially haunted, where electronic equipment sometimes malfunctions for no reason and a tall male specter dressed in uniform has been spotted in the basement. For those brave enough to enter, the museum sometimes holds ghost hunts and investigations. The Pine Barrens of Southern New Jersey are believed to be the home of the infamous Jersey Devil. According to Weird NJ, locals have told the stories of the Jersey Devil for hundreds of years, saying that the mythical creature lurks in the Pine Barrens. The story involves a resident of the Pines known as Mother Leeds, who found out she was pregnant for the 13th time. Her husband was a drunk and they were not at all wealthy, and after having 12 children with a man who made little effort to support them, she yelled out "Let this one be a devil!" A few months later on a stormy night, Mother Leeds went into labor, and she gave birth to a seemingly normal baby boy. After just a few minutes, the baby started to change, and metamorphosed right in front of her. The creature it became was said to have horns on the top of its head, bat-like wings on its back, claws on his finger tips, and hair and feathers all over its body. After its eyes began to glow bright red, it attacked its own mother, killing her and a number of the other witnesses in the room. The creature ended up escaping into the Pine Barrens, where eerie things happen to this very day. The Jersey Devil is known to terrorize anyone who enters into the Pine Barrens, and there have been endless reports of visitors actually encountering the creature. 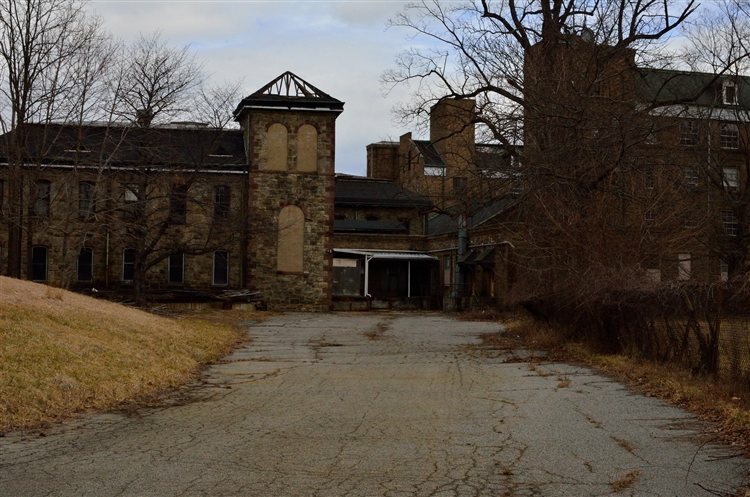 This psychiatric hospital has operated under a number of names, and is sometimes simply known as Greystone. Dating back to the 1870s, the building was constructed to alleviate overcrowding at the other asylum located in Trenton. It was expanded several times and housed over 7700 patients at its highest point. Closed in 2008, a new facility was built on the Greystone campus nearby. Different forms of treatment were used in the facility on its patients, including Hydrotherapy in various forms and the removal of tonsils, thyroids, prostate glands and teeth, in hopes to alleviate psychiatric problems. Doctors performed lobotomies in the 1940s in an attempt to control those that showed destructive behavior. Along with these procedures, patients were treated using insulin shock therapy, where doctors believed they could could be "jolted" out of their mental condition. Some patients suffered long term side effects from these horrific procedures, causing brain damage, gross obesity and even death. Click here to read about more Haunted Places in New Jersey!